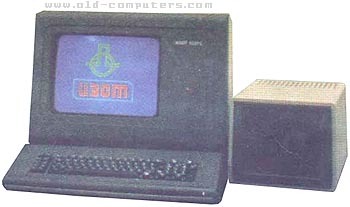 The ISOT 1037S was a 8/16-bit professional system. It was a modular multiprocessor system, able to use either a 16-bit or a 8-bit processor mudule. It could be also used as an inteligent terminal with good networking and graphic capabilities, in connection with ES and CM bulgarian mainframes, through SDLC ADLC and BSC network protocols. see more ISOT EC-1037S Ebay auctions !